Arlanda Express is the fast train service between Stockholm Central Station and Arlanda Airport. A-Train AB is the owner of Arlanda Express, which has been in service since 1989. Arlanda Express wanted help in communicating with and attracting the sought after target group of millennials. Arlanda Express have mainly communicated price, product and being a ”part of the flight”. Everyone knows they are simply the most effective and reliable way to get to Arlanda airport from Stockholm city. But to simply talk product benefits and timetables isn’t going to be enough if you want the attention and engagement of the young and picky target group. We needed to fill Arlanda Express with emotional values and speak with a voice that appeals to millennials and their driving force. Communicating on their terms, with their tone and in line with their expressions. Arlanda Express are already the beginning and end of the trip, but what if we could start talking about what really matters – what’s happening in between. Instead of communicating A to B, we started talking A to Z. We created the concept called “A part of your trip”. A tribute to travelling and all that comes with it. Travelling is so much more than moving from A to B or just visiting a new place, it’s about inspiration, escape, recovery, passion, distance and lust. It’s an evening bath, a new taste, a sore wound, a never ending night, a strange conversation or a perfect tan. A trip creates memories for life, experiences that never let go. The campaign was developed together with the target group itself. The communication was driven exclusively by their own words, movies, stories and photos from trips around the world. The campaign took place across social media platforms as well as train stations, trains and airports. Arlanda Express is the express train service between Stockholm Central Station and Arlanda Airport. A-Train AB is the owner of Arlanda Express, which has been in service since 1989. 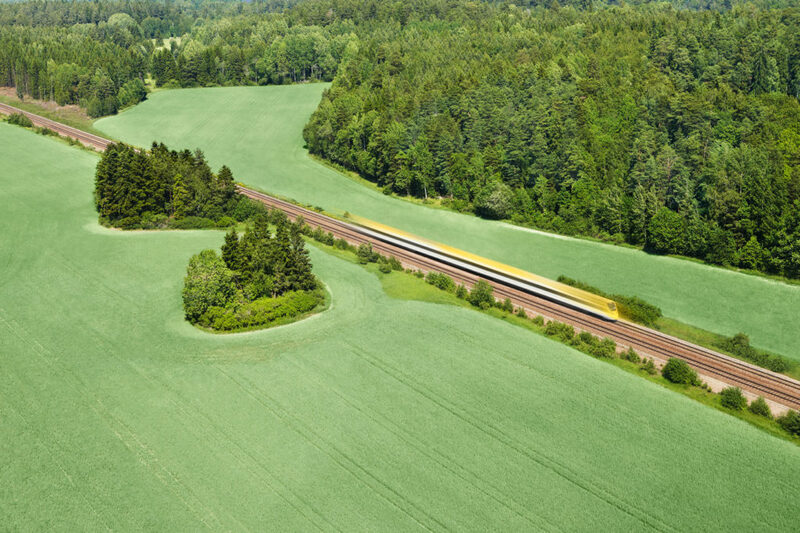 The train ride takes 20 minutes and it is the most convenient and eco-friendly way of travelling to Arlanda Airport. We act as a strategic and creative communications partner and support Arlanda Express by creating campaigns.